This is ONE pattern which can create a boy and/or girl doll. All instructions are the same for both, except where indicated. It works up dolls that are approx. 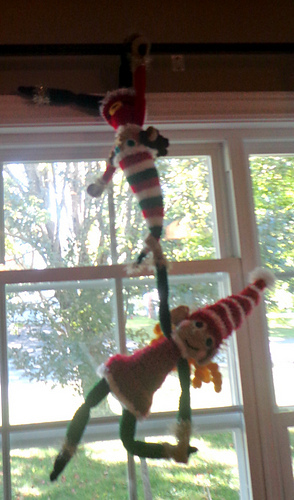 24” (61cm) tall, from toes to tip of hat. 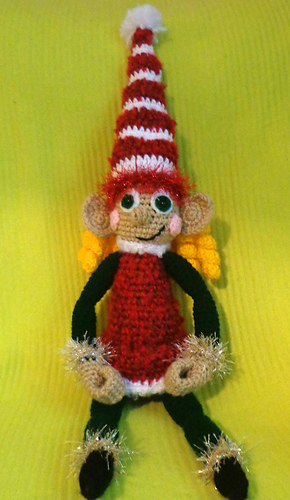 This pattern allows the user to be creative with different colors and textures of yarn. 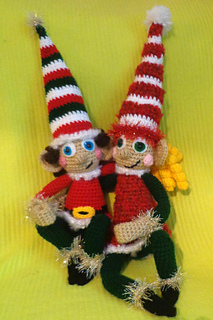 These little elves are meant to be colourful, whimsical and unique to each family, and a treasured keepsake. 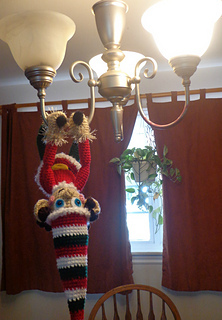 You can easily tuck it inside a small Christmas Box for safe storage year after year. 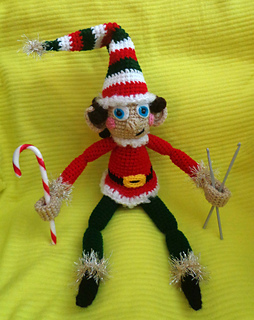 This little elf can hold candy canes, crochet hooks, pens or any number of items, and can be posed or hung in different ways, by gently inserting his feet into his hands, or tying them with ribbon. The pattern is in English and uses US Standard terms. 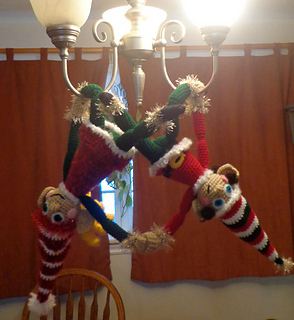 It contains instructional photos, detailed instructions and grants permission to sell the finished dolls.